Made in Italy. 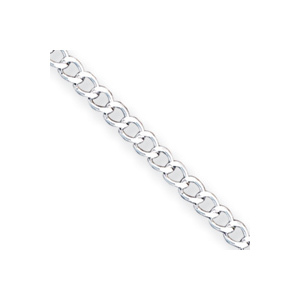 Polished solid sterling silver. Length: 7in, width: 3.65mm. Weight: 3.23 grams. Springlock clasp.